Today's card is a standard size card measuring 4 1/4" x 5 1/2". I used a piece of DSP from the Festival of Prints package that is still available right now in the Holiday Mini. 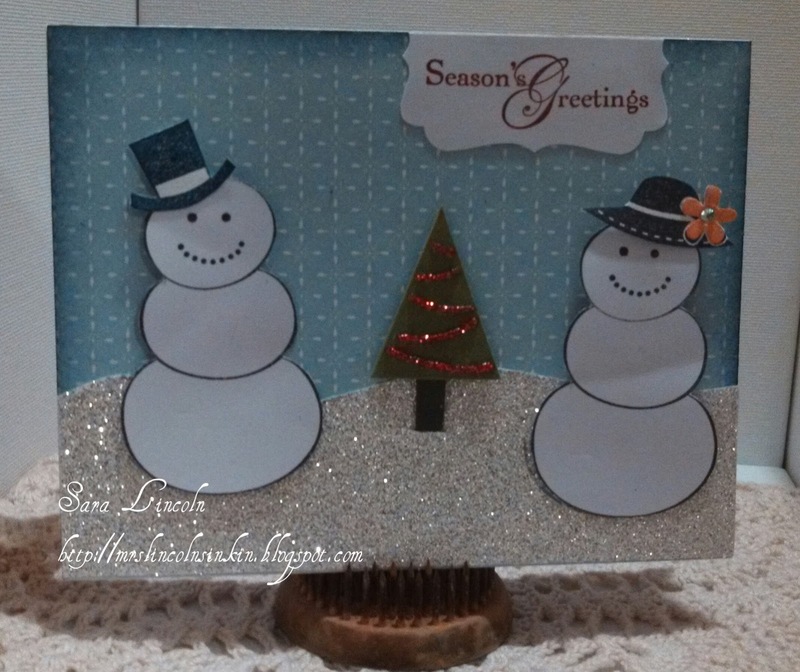 The paper that i used for the Snow is the wonderful Silver Glitter paper! I just love using this, especially around the holidays!! So, did you take advantage of the Online Extravaganza yesterday? I hope so, there were some awesome deals only available yesterday. If you didn't though, make sure to take a look at the specials that are available today only and through November 28th! You can get some products up to 50% off!!! Click HERE to see a complete list of all products of the Extravaganza! Well, i hope you all enjoyed today's card. I hope you all have a fantastic Tuesday and until next time... Happy Inkin'! !